Slippery bath or shower? These could be your most important purchase ever! 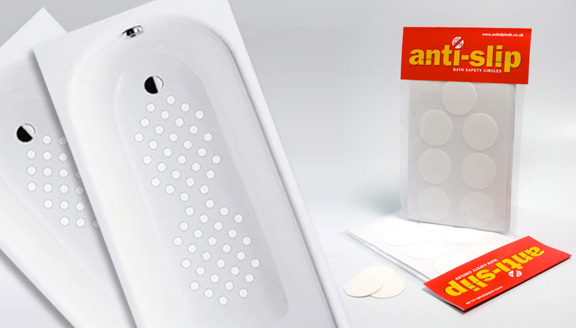 Non Slip Bath Stickers could drastically reduce the risk of slipping in the bath, shower or wet room. This short video shows how easy it is to fit Non Slip Bath Stickers to your slippery bath, shower or wet room. Use our fitting template to help you safely position your stickers. The template can be used as a guide for any shape of bath or shower. We supply Non Slip Bath Stickers to private customers and also to the trade, including hotels, plumbers, developers, & care establishments. Absolutely brilliant. Throw away all your rubber bath mats, stick these on and forget them. I prefer a shower to a bath so bought two packs to give me a little more movement, couldn’t be more pleased. More comfortable on the feet and no maintenance. Wish I had found them sooner. Does exactly what it is supposed to, and if fixed as per instructions will not come off easily, stopped me slipping around bath when showering. After having a water softener fitted my bath became a health and safety hazard even with the bath mat in place. These have solved the problem and are much easier on the eye and feet. Non-slip Bath Safety Circles, which are embossed flat PVC discs a little larger than a 2p piece do the trick. They’re easy to stick to the bottom of the bath and we found they provided a decent slip resistant surface as well as being easy to keep clean. Rubber bath mats can be fairly unattractive and not the most comfortable to stand on, but these discreet anti slip bath safety stickers are a revolution. Simple, stylish and safe, they stick directly on to the bottom of your bath or shower and provide a slip resistant surface. Why use Non Slip Bath Stickers? We’re on a mission to get rid of mouldy old bath mats and spread the word about our stylish and safe Anti Slip Bath Safety Stickers. Many guests are injured in bathroom slips each year exposing the hotel to liability that could have been easily avoided. Many of our customers have told us that as they get older they start to lose confidence with stepping into the shower or bath. Fitting Non Slip Bath Stickers will ensure a good foothold as you step into the bath or shower, and gives reassurance if you have recently had an operation, illness or physical disability. 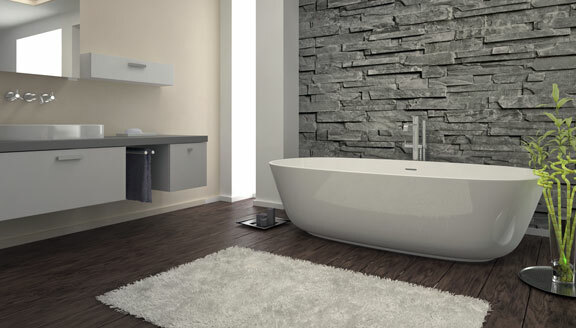 It is a quick and low cost solution to the common problem of slippery baths. If you have ever stepped into a slippery bath or shower and your have started to lose your footing, you will know the feeling of your life flashing before your eyes. If you have just fitted a new bath or shower, they can be notoriously slippery so simply fitting Non Slip Bath Stickers will help to keep you safe in your new bathroom. They are white so blend in well and are a stylish solution to the problem. An anti slip surface on the base of your bath is essential to keep your baby or young child safe in the bath. Many of our customers come to us because they have become frustrated at using anti slip bath mats, which are time consuming to keep clean and mould free. Non Slip Bath Stickers are so easy to keep clean with the wipe of a cloth and are a long lasting solution. Non Slip Bath Stickers could drastically reduce the risk of slipping in the bath, shower or wet room..